Weekends are the best, a time to get to unfinished projects, special time with the family, and my favorite, baking something a little extra special like this lovely Simple French Yogurt Cake. I cherish my time with my family, but honestly, life can get busy with our own business, teenagers, school, remodeling our house, and homesteading! That’s why sitting down to three meals a day with our family is so important to me. Taking that a step further is our special time that I like to carve out each day where we meet and talk over tea, coffee, or hot cocoa and something good to nibble on. Each season it’s different, summertime it’s flavored water or lemonade, in the fall it’s fresh cider, and so it changes as the seasons go around. People call it different names, in Sweden it’s Fika, in England tea time, here in the US we call it a coffee break. I simply think of it as cozy time, a break from our day, a rest and reprieve from our work. 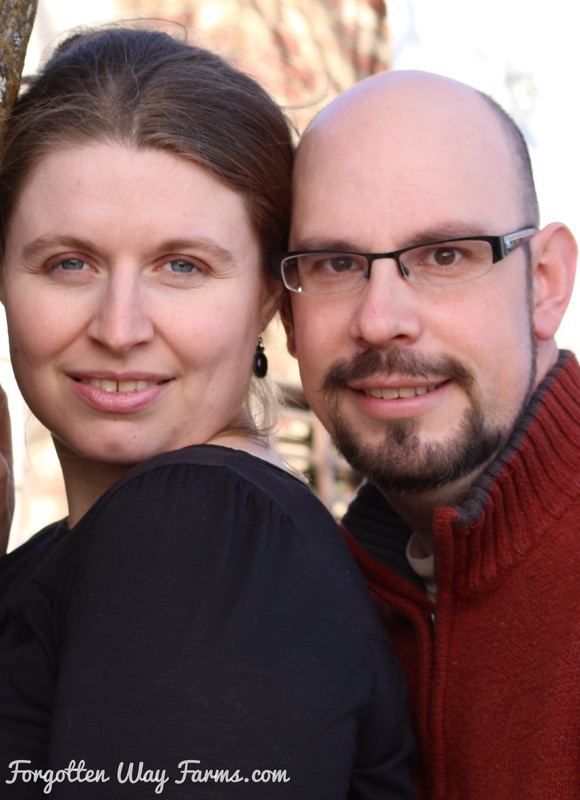 Sometimes, it’s a quick twenty-minute break that freshens us up for our next task at hand, or sometimes it lasts for hours on Sunday evenings when we set out snacks, hot drinks, and play games around the table. 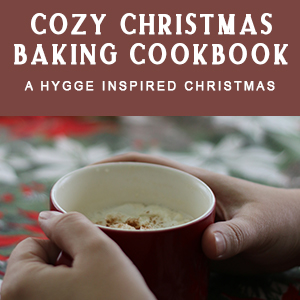 Looking for a great snack for your cozy time? Try this cracker recipe from Angela at Pariesine Farmgirl! That’s where this little lovely comes in, we have been making this for as long as I can remember. 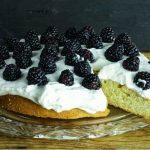 This Simple French Yogurt Cake whips up so nicely, and my kids love all the different toppings I put on it seasonally. 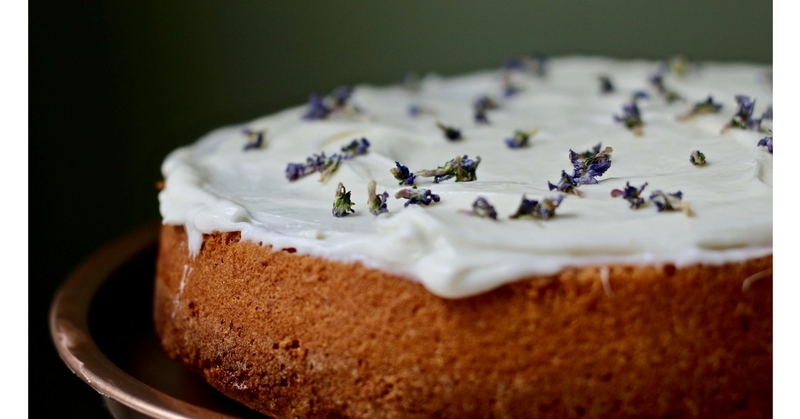 This cake is so moist and tender, and pairs beautifully with fruits and glazes. Most times, I simply whip some heavy cream, swirl it on top and pile on the fruit. 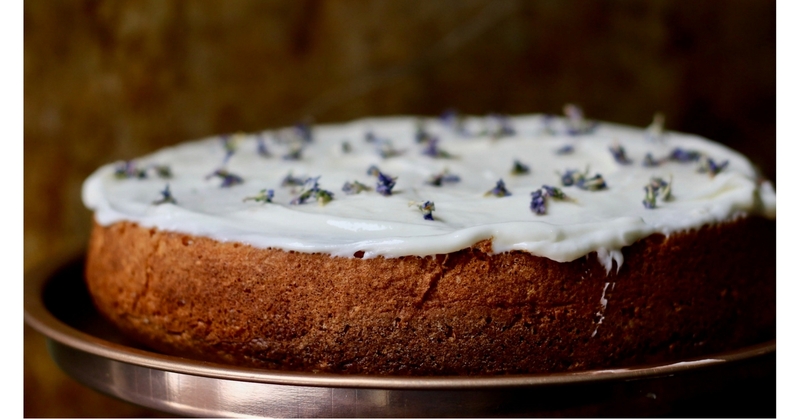 Another great way to top this is to make an easy cream cheese frosting, swirl it on top and add dried flowers like Lavender, Rose Petals or as we did, lovely little Wild Violets (Which my daughter Jo, foraged last year from our woods!). Dusting it with powder sugar or glazing it with Chocolate Syrup works too! 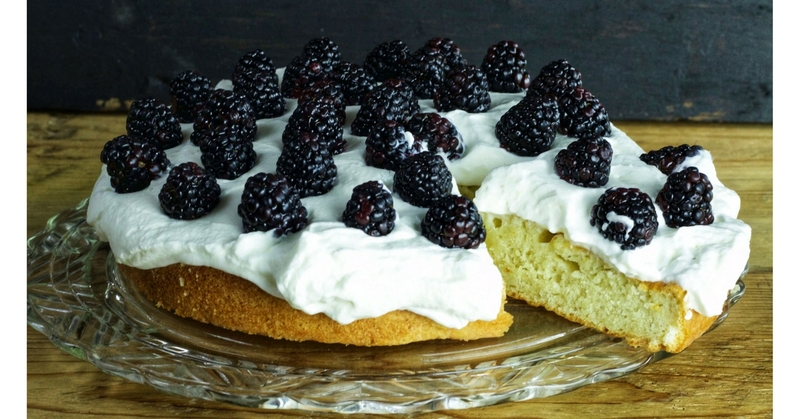 The simplicity of this cake allows for all kinds of great combinations, including using a flavored Greek yogurt for a subtle change in flavor. For example, lemon yogurt and you could add a simple lemon glaze or raspberry yogurt, and you could top the cake with fresh raspberries and whipped cream. 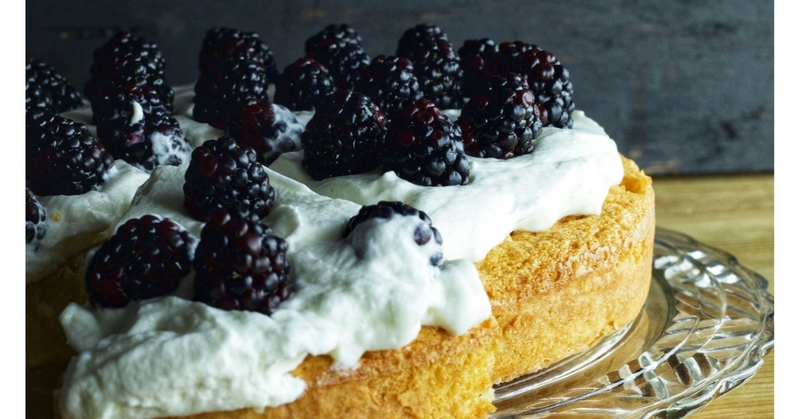 The great thing about this Simple French Yogurt Cake is that you can dress it up or down. 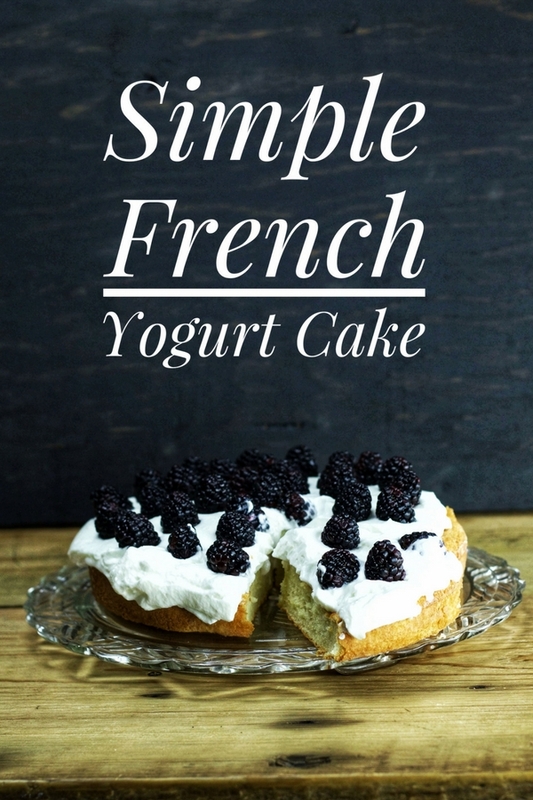 This Simple French Yogurt Cake is sure to please! It's easy and delicious, what more could you ask for? Enjoy! Preheat oven to 400 degrees F. In a medium-sized bowl, beat egg yolks. Add sugar, vanilla, oil, yogurt, flour, and baking powder, and stir. In another bowl beat egg whites until stiff. Carefully fold egg whites into the other mixture and pour into a greased 9-inch cake pan. Bake at 400 degrees for 20-30 minutes or until a toothpick inserted comes out clean. I hope this cake inspires you to bake something special for your cozy time. Oh that sound delightful Abby Jo. Definitely a recipe I will try. At our home we have 11am coffee and we tell our friends to pop in if they are passing by. It’s the way we offer hospitality and our friends know to take us as they find us. Have a lovely day. G.
That’s lovely to hear, I wish I lived close enough to just drop by 🙂 Thank you for always leaving such wonderful comments!